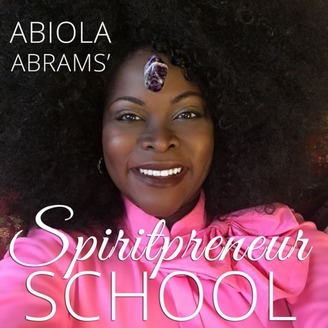 Spiritpreneur™ School is a spiritual business and empowerment podcast for women hosted by Abiola Abrams. A spiritpreneur™ is a spirited and spiritual business person who is a conscious and heart-centered entrepreneur. Our empowerment and business guru guests range from CFOs to professional creatives who have can say, I have answered my calling, found my purpose, and I am rocking it in online business and conventional. These (mostly) women in business are brilliant thinkers who have overcome challenges to live out loud. If you want to know how to answer your calling and live on purpose, you are in the right place. 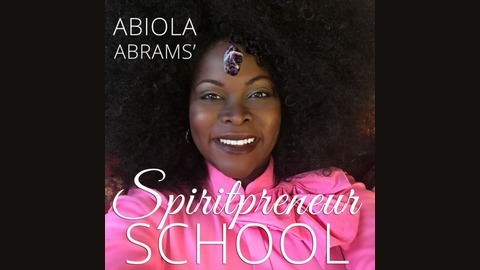 Empowerment coach, spiritual teacher and advice columnist Abiola Abrams is the founder of award-winning self-worth site SacredBombshell.com and self-launch site, SacredBombshell.com. She is also the author of the award-winning advice guide, The Sacred Bombshell Handbook of Self-Love. Learn more at Womanifestng.com. When people think of hypnosis, they think of party tricks. Hynotherapy is a powerful technique that can be used for healing or spiritual awakening. What is Your Soul Contract?